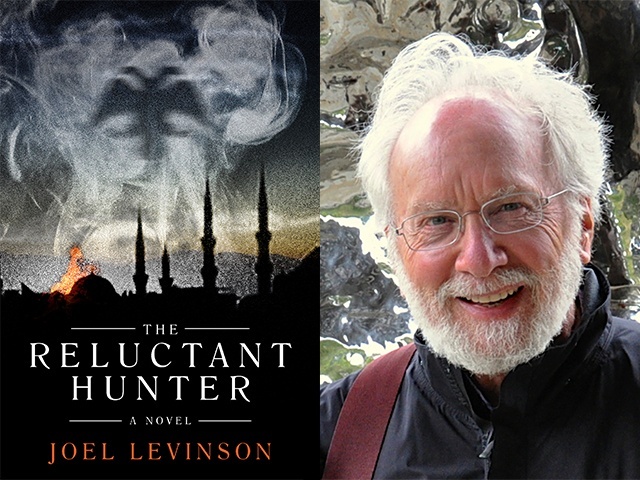 Levinson’s book, “The Reluctant Hunter,” which takes place during the War in Bosnia, has earned rave reviews, even though Levinson has never been in Bosnia. So as a “fall-back” career, Joel attended the School of Fine Arts at the University of Pennsylvania, where he graduated in 1963. He began working as an architect in 1966 and started his own practice in 1969. His work as a self-taught interior designer began in the mid-’70s, when he was commissioned to convert a 360,000-foot warehouse in center city into a regional interior design center. After a 50-year career as an acclaimed architect and designer, Joel decided to return to his first love (after farming, that is) and write a novel. Now one might expect that the novel would have something to do with architecture (maybe like “The Fountainhead,” by Ayn Rand) or interior design, but one would be way off base. Regarding Levinson’s architecture over the last half-century, each project Levinson has designed has its own vocabulary of forms and materials. Some observers say that despite the wide variety of his work, they can spot a “Levinson design,” which Joel thinks has to do with his attention to proportions, detailing and his color palette. Levinson designed one house in Martha’s Vineyard for a couple whose visions for the house were completely different. The wife wanted a traditional island-style design, and the husband wanted an Eastern Zen ambience. So Levinson managed to combine some elements of each vision into something like an architectural fugue.